In dozens of countries around the world, website blocking has become one of the preferred ways for copyright holders to restrict access to pirate sites. While very popular in Europe, the tactic has been spreading, with blockades now in place from Asia to South America. The latest involves infamous sports streaming portal Rojadirecta. Targeted at mainly Spanish speaking visitors, Rojadirecta has experienced legal issues in several countries, the latest being Peru where the site is again accused of copyright infringement. Concerned about its sports content being made available without the required licensing, Fox Sports Latin America – part of Fox Network Group Latin America – filed a complaint with the authorities, requesting a block of the popular portal. The Copyright Commission (CDA) of the National Institute for the Defense of Competition and the Protection of Intellectual Property (INDECOPI) handled the complaint and has just handed down its decision. The Commission says it considered a number of factors, including whether the site infringes copyright by knowingly providing links to various sporting events, even though the content was transmitted from elsewhere. Ultimately it decided this was a breach of the law so a blocking order was handed down. 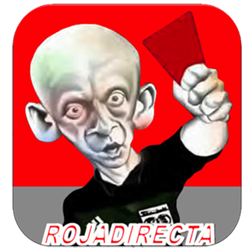 “[W]ithin the framework of its powers, [the Commission] issued two precautionary measures which order the blocking of the website named ‘Roja Directa’, which facilitates allegedly illicit access to the transmission of various sporting events, in particular, football matches of the so-called ‘Copa Libertadores de América’ ​and ‘Copa Sudamericana’, among others,” the Commission states. As a result, local ISPs Telefónica del Perú and América Móvil Perú are required to block Rojadirecta.me, the platform’s main domain. “We are very pleased with the decision of INDECOPI, which has already notified the main Internet service providers to implement the blockade as soon as possible,” said Daniel Steinmetz, Chief Anti-Piracy Officer of Fox Networks Group Latin America (FNG). Back in April 2018, FNG obtained another blocking order against Rojadirecta in Uruguay, their first in the country. Describing the ruling as “exemplary”, Steinmetz said it marked the “beginning of judicial awareness” on online piracy issues. It’s understood that Fox intends to take action against Rojadirecta and similar sites in Argentina, Chile, Colombia, Mexico and Guatemala.